Compassion started working in Mexico in 1979. Today, there are over 54,000 children registered in our programs with 206 church partners. Mexico has grown in the decade following the 2008 global financial crisis, but deep economic disparity and social exclusion remain. Millions of Mexicans live in poverty and drug-related violence claims thousands of lives every year. Mexico is the most populous Spanish-speaking country in the world. It has a young population and historically, many people, driven by poverty, have migrated to the neighbouring United States to find employment. Yet in recent times, the Mexico-US border has become a focal point of international tension, with US President Trump declaring he would build a wall to keep migrants out. In late 2018, a caravan of thousands of migrants from Central American nations travelled through Mexico en route to the US and fetched up at the border, where they were denied entry and driven back with teargas. Many said they were fleeing gang violence and grinding poverty—two issues that also affect many Mexican communities. More than 50 million Mexicans live in poverty, with 11.5 million living in extreme poverty (on less than US$1.90 per day). Rural areas are often neglected and huge shanty towns surround the cities. After former President Calderon declared war on Mexico’s powerful drug-trafficking organisations, in 2006, violence spiralled out of control, resulting in more than 200,000 deaths and one of the highest rates of kidnappings in the world. In July 2018, Andrew Manuel Lopez Obrador was elected President; his campaign focused on ending political corruption and drug-related murders. His success or otherwise will be measured in human lives. Mexico is a large and diverse country, and there are many areas which do not experience high levels of crime. Yet stabilising the nation to find a long-lasting and widespread peace has proved elusive and even now it seems a distant prospect. Warm greetings, dear brothers and friends: My name is Omar Villagran; it is a joy to write to you and thank you for the support you provide to our programs. I have been the Compassion Mexico Country Director since 2004. I live in Toluca with my wife, Jeza; we have been married for 30 years and have two daughters, Melisa and Ingrid. 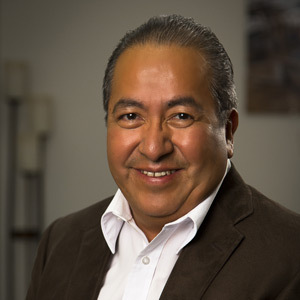 My name is Omar Villagran; it is a joy to write to you and thank you for the support you provide to our programs. I have been the Compassion Mexico Country Director since 2004. I live in Toluca with my wife, Jeza; we have been married for 30 years and have two daughters, Melisa and Ingrid. Compassion Mexico started servicing children in 1979 with the model of dining rooms, as a response to the needs of children in the poorest states of the country. In 1990 the country office was established in Mexico City. Today we serve more than 50,000 children registered in the program. There are 210 child development centres established in the states of Hidalgo, Tlaxcala, the state of Mexico, Oaxaca, Veracruz, Chiapas and Puebla. Thanks to your sponsorship, we’ve been able to reach these little ones and their families. Due to your monthly support, the children who belong to our program have the opportunity to develop in different areas of their life. We believe that poverty limits the opportunities of the children, hurting them with a lack of health, education and opportunities; as a consequence, many times children are unable to manage healthy relationships with their families and with those who surround them. In our programs, the children and youth have dreams and goals, and they know that these are possible. They receive at least one medical checkup each year and participate in different learning activities that complement school. They are also fed with a nutritious meal each time they come to the activities. Part of the program is focused on developing physical abilities, where the children learn to play and work as a team. Each one receives a Bible in which they have found answers and comfort for many of the struggles they face themselves or within their family. We can say that their lives and their family’s lives are being transformed. Poverty challenges people in every aspect of life, so our fight seems to have no end. Unfortunately, our country has serious nutritional problems. On one side, it holds the first place worldwide in child obesity—one in three adolescents between the ages of 12 and 19 years old is overweight or obese—and this problem starts affecting the population of three- to five-year-olds. The problem of excess weight mainly affects the central zone and north of the country. On the other hand, Mexico reports high rates of malnutrition in the south-east of the country; 7.25 per cent of the children from five to 14 years old suffer from chronic malnutrition in the urban areas and the number rises in the rural areas to 14.5 per cent. The risk of an indigenous child dying from diarrhoea, malnutrition or anaemia is three times higher in indigenous or rural zones than in urban zones. This is why we are committed to work harder each day. Compassion Mexico works with the churches that have established the different child development centres. We have started to share nutrition and childcare workshops, teaching the children and their parents to eat in a heathy way with what they have within their area and reach. In our centres, children have learned to combine a good diet with exercise to have a healthier life. The program of Child Survival has had a great impact in indigenous communities, following up on the pregnant mums and the little ones, and reducing infant mortality rates in the early stages of life due to malnutrition or illnesses. Besides all the strategies to support the children and their families in our programs, we have seen that the close relationships that the children develop with their sponsors impacts their development. Through your letters and correspondence, children know there is someone concerned for them, someone who is interested in their growth and who constantly prays for them. Getting to know their sponsor through a letter, a photo or a visit inspires them to continue because they know that someone supports them and that they are not alone. Through the programs, children receive the support of their family, their church and their sponsor. I cannot say more than thank you for all the support you provide to the children in our country. We know that there are millions of children who live in extreme poverty, but we are making the difference one child at a time. Behind each little one we support, there is a family who receives the opportunity to be freed; their entire world can be transformed. We ask you to uphold our staff and the volunteers in our partner churches constantly in your prayers because our work would not be possible without the effort and dedication of each one of them. For now, I say goodbye; thank you for all the support and for the heart that you have for our country. Ixmiquilpan, north of Mexico City, is a large town in the middle of a desert valley. From its outskirts stretch long, dry expanses of land, empty but for rocky formations and all kinds of cacti. In this region, more than 60 per cent of the population lives in poverty. Most of the families here are either dedicated to the fields as day labourers, or else work as cooks, janitors or low-wage employees. Ixmiquilpan, north of Mexico City, is a large town in the middle of a desert valley. From its outskirts stretch long, dry expanses of land, empty but for rocky formations and all kinds of cacti. In this region, more than 60 per cent of the population lives in poverty. Most of the families here are either dedicated to the fields as day labourers, or else work as cooks, janitors or low-wage employees. For years, Pastor Samuel, the pastor of Bethel Church, searched for ways his church could help the many families they knew who were struggling to meet their most basic needs. Then, at a denominational meeting, a fellow pastor shared about his experience with Compassion—and Pastor Samuel knew he’d found his answer. His church established the Fruit of Hope Child Development Centre in early 2016. It was the first Compassion church partner in the area. Among the many children who have already benefitted from the program is Isabel. 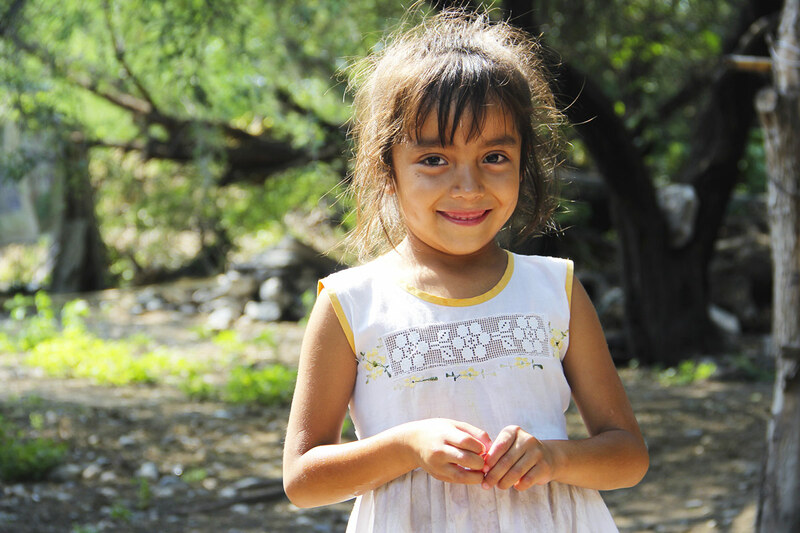 She lives with her mother, Estela, her father, and four-year-old little brother in a clay brick home that is located about 20 minutes away from the church. Isabel’s father works as a field labourer and earns less than $3 per day. His work consists of scraping the juice out of huge cacti to produce a sweet beverage that is then fermented into an alcoholic juice that is commonly used in the region. One morning, Isabel had a hard time getting up to attend school, and when her mother picked her up in the afternoon, she was already feeble. On that day, it was very hot. Estela tried to carry Isabel home, but she is a very tiny mother and was unable to do it for long. Isabel had to walk under the hot sun, and as soon as they were home, she lay in bed and slept the rest of the afternoon. She did not want to eat, and she was very weak. As their daughter lay burning with fever, Estela and her husband pooled their life savings on the mattress: 30 US dollars. It wasn’t nearly enough. 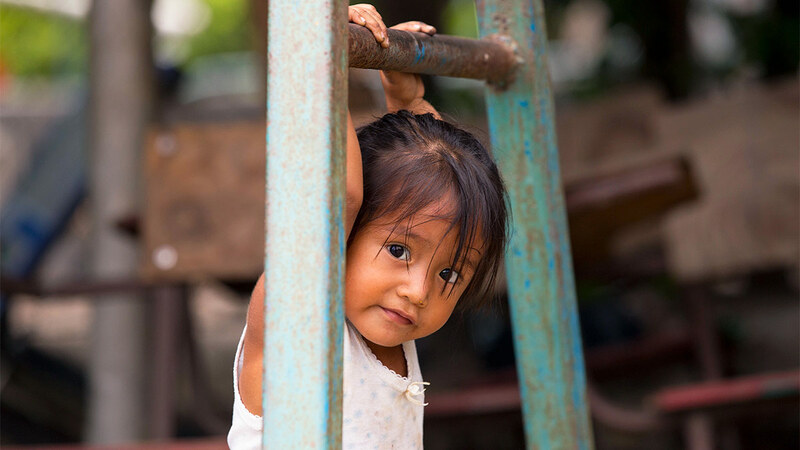 But thankfully, because Isabel was registered with Compassion, the program was able to help cover the medical expenses, and her parents were able to get Isabel to a doctor right away. There is still much to do in this community, but the results of the church’s partnership with Compassion are already evident in Isabel’s shy smile. Pray for the children, families, churches and communities affected by Hurricane Willa, which caused widespread flooding and damage in coastal communities. Pray that the families forced to abandon their homes will receive support to return and rebuild; pray for God’s peace and strength in a difficult time. Pray for local churches as they minister to the children and families in their neighbourhoods. Pray God’s Spirit would continue to empower them to be a source of love and strength for the vulnerable children and families they serve. Pray for the Compassion Mexico leadership and staff as they seek to implement new strategies in the coming new year; pray for God’s wisdom and direction. Please also pray for several vacancies on the staff; pray that God will lead them as they recruit and that the people with the right skills will apply to join the team. Pray for Miriam’s mother, who recently was injured in an incident at home. Please pray that God will bring healing and comfort to her. Pray for all the caregivers and infants being supported by Survival projects around the country; pray that their relationships will continue to grow stronger and that they will encourage and support one another. Pray for opportunities to earn some income and for their skills to keep developing. Pray for President Obrador, who was sworn into office on 1 December. Pray for peace and godly wisdom as he leads the nation forward; and that those living in poverty will gain new opportunities for education and employment. Have You Ever Prayed in the Back of an Ambulance? With her life on the line, 10-year-old Yoleth had one instinct. In the back of an ambulance with sirens wailing, trapped in traffic, she gripped her mother’s hand. “Mummy, let’s pray,” she whispered. Read her incredible story of faith—and her message of hope for you.